Call recorder apps are tools that lets you record any incoming or outgoing phone calls on your smartphone. There are so many apps that can record your calls but I have selected the best 6 apps you should consider using. Call recording apps are very important and handy when the need to memorize conversation details arises. In some more serious circumstances, it becomes important for security and legal reasons as a strong evidence in Police, Court or anywhere. For some people, however, they use these voice recorder apps to examine how they sound during calls and make reasonable adjustments and improvements in subsequent conversations. Girls especially use them to train their phonetics in order to sound more educated and classy. Though many Android smartphones now come pre-installed with a call recording feature but most has limitations so you need need an apps with almost all the features you would like to enjoy. Because I’m aware that finding the best app might be complicated and time-wasting, that’s why I have picked the best for you. Many people are unaware that the popular Truecaller app also has a very good call recorder feature embedded on it. Truecaller has gradually become the best call dialing app and also one of the best SMS app as well as the best call recording app. All these and many features are available in this all but important app so if you don’t already have Truecaller, download it here. To record your call or conversation during a call using Truecaller, just locate the call recorder icon on your phone screen while the call is active and tap on it to start recording as you can see from the screenshot. The progress of the call will be recorded and counted. Other features of Truecaller app includes but not limited to call blocking, call ID identification, missed call notifications, spam call detection, spam sms detection etc. Developed by Appliqato, Automatic Call Recorder is another app solely designed for call recording purposes so it offers more features as pertaining to this. It can help you record any call you make at any time. You can even set which calls you want to save or ignore. The app also enables users to listen to the recorded calls, make notes and share them. Synchronization and storage of files to the cloud is allowed because the app supports Google Drive and Dropbox. Additionally, the app allows you to set the number of recordings you wish to save. Although it automatically saves files, it deletes older messages and fills the inbox with new ones. As Google Drive works on Android versions 3.0 and above, it will work on most smartphones. However, if your device does not support call recording, you might end up with low-quality files. For this reason, it’s advised you use the free version before you install the paid app. Download Automatic Call Recorder here. As the name suggests, this is another app fully dedicated to recording calls and your phone conversations. This app offers some fantastic call recording features that make it an ideal app to have on your Android device. The app is simple, has a classic user interface and a clutter-free design which ensures the best user experience possible. Next, it saves your telephone calls in 3gp format. This app also lets you share your calls via various channels such as Bluetooth, cloud storage, social media, and Bluetooth. All call recorder app is available in free and paid versions. While the free version has ads and some limitations, the paid version has no adds and it offers all the features you may need. You can upgrade the features by making in-app purchases. Download the All Call Recorder here. Cube Call Recorder is yet another great call recorder app for android worthy of mention in my list because it can record all your important phone conversations as directed by you. Recordings can be saved and retrieved from Google Drive. Users can even secure the files with a pin code. This is actually a great feature to behold. Also the app is available in free and paid versions. The free version, as expected uses ads while the premium version has no ads. Download the Cube Call Recorder ACR here. Developed by SMSROBOT, call recorder S9 is one of the best call recorder apps I have used and I so much like its recording filter features that enables you to select the calls you wish to record. Such calls include those from both saved and unknown numbers. That app also allows you to assign contacts whose calls you want to record or ignore. It’s available in free and premium versions. The premium version has a nifty feature that allows you to record a call by shaking your phone/tablet. This version also supports automatic Dropbox synchronization of all recorded conversations while the free version offers you the chance to sync files manually and ads are shown. Download Call Recorder S9 here. 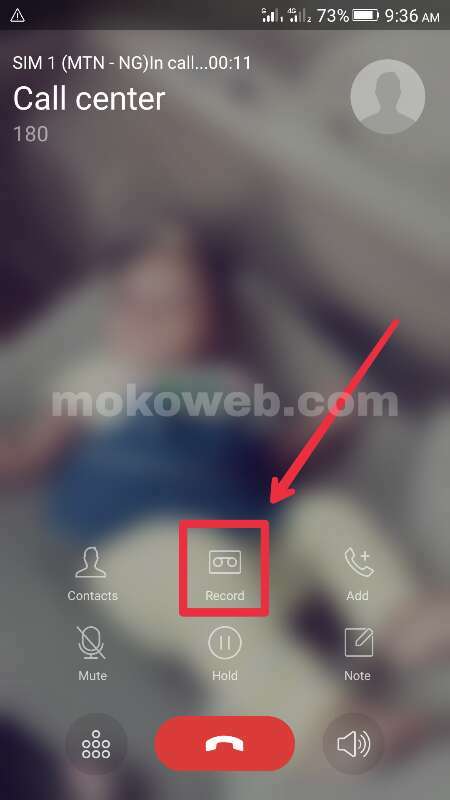 RMC Android call recorder is an app with better privacy features. It helps you record both incoming and outgoing calls while the app remains hidden. You can also hide its notifications and even set passwords for added security. This is a very important measure restrict another person from accessing your recorded calls. This app can also be used as a spying tool to track the phone conversions of your partner, relatives or colleagues without them knowing. Calls are recorded manually or automatically. The app also supports various file formats such as mp3, WAV, AMR and many more. The app is available as freeware, but it includes annoying pop up ads. Download RMC: Android Call Recorder here. If you check your Android phone dialer thoroughly, you may notice there is a call recorder embedded on it to help you record conversations while making calls but most times, the ones in your phone come with a lot of limitations so you need better alternatives. I hope from the list of best call recorder app for android above, you will be able select and use one.